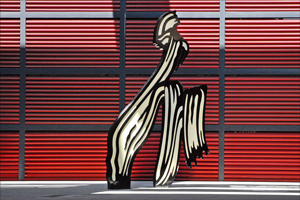 Courtesy of the Tour of the Reina Sofía Museum, you will have the opportunity to enjoy priority access and the delightful company of an official guide by your side who will be able to show you the very best of what's on display at the Art Centre. You will be able to admire Picasso's vast and unmissable "Guernica", major works by the brilliant Salvador Dalí, works by Óscar Domínguez and much more. Together with a tourist guide, you will greatly enrich your experience inside the museum and will return home with wonderful stories and curiosities to share. You can also see contemporary collections and find out about various avant-garde works, cubism and surrealism, etc. The Tour provides all visitors, in the company of an expert guide, with the opportunity to find out in detail about the immense artistic heritage that is housed inside this Art Centre which is dedicated to Queen Sofía. You will be able to admire works by Picasso, André Masson, Salvador Dalí, Óscar Domínguez and many other artists. You will find your guide in Santa Isabel street (by the statue at the entrance to the museum) and you will enter the museum together with your guide, thus skipping the queue and using your priority access. The art collection inside the museum is composed of some of the very best works dating from the beginning of the 19th century right through the 20th century. From the avant-garde to cubism, dadaism and surrealism, with everything beautifully exhibited inside this magnificent building which provides these treasures with an appropriately spectacular home. Let yourself be amazed by Picasso's stunning "Guernica", the Face of the Great Masturbator by Salvador Dalí, Man with a Pipe by Joan Miró and a myriad of other works which await you inside one of the most important museums of contemporary and modern art in the world. At the end of the tour, you can stay as long as you like inside the museum so that you can continue viewing the wide range of exhibits. Entry tickets on your smartphone are acceptable which means you don't need to print them off. If you're looking for entry tickets with skip the queue but without a guide, visit the following web page: Reina Sofia Museum Entry Tickets.